News: ECRE and UNHCR Concerned over the ending of Mare Nostrum without European rescue initiative to replace it. ECRE and UNHCR have warned that ending Italy’s rescue operation Mare Nostrum without replacing it by a well-resourced European search and rescue initiative would mean more deaths at sea. One year ago, just a few days after more than 300 people drowned off the coast of Lampedusa, Italy launched the Mare Nostrum operation to ensure search and rescue of migrants in the Mediterranean. Since then, Mare Nostrum has saved around 150,000 people. “Everyone was horrified at the loss of lives off Lampedusa one year ago. Italy did something about it. Now this life-saving Mare Nostrum operation is at stake. Refugees, many fleeing war in Syria and oppression in Eritrea, cannot stay in lawless Libya and it is not possible for them to reach a safe place legally and safely. If Mare Nostrum ends without being replaced by a well-resourced operation whose priority is to save lives, more people will die in their attempt to reach our shores. A European effort is urgently needed, if the EU is really serious about putting an end to the deaths in the Mediterranean,” said ECRE’s Secretary General Michael Diedring. Read the full article online via the ECRE website here: ECRE and UNHCR Concerned over the ending of Mare Nostrum without European rescue initiative to replace it. Amnesty International – Is there ever a justification for leaving people to drown in the Med? The Telegraph – Drown an immigrant to save an immigrant: why is the Government borrowing policy from the BNP? Investigated or ignored? 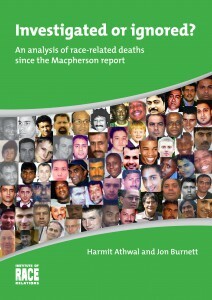 An analysis of race-related deaths since the Macpherson report, by Harmit Athwal and Jon Burnett (Institute of Race Relation. See Also – Investigated or ignored? By the UK Home Office. The user guide is designed to be a useful reference guide with explanatory notes on theissues and classifications which are key to the production and presentation of the Home Office’s migrant journey. This report is the fourth in a series of reports that explore migrants’ journeys through the UK’s immigration system. See Also: Migrants’ Rights Network: Home Office releases new resources on UK immigration. Examines employment levels changes, in the context of longer-term labour market trends, recent economic conditions and immigration policy changes. The MSQR series brings together statistics on migration that are published by the Home Office, the Department for Work and Pensions (DWP), ONS, and the National Records of Scotland (NRS). · When needs arise there is often a complex interplay of factors involving health, education and housing etc. · Local authorities and partners appear to work well with members of these communities but this appears hampered by not having ready access to resource. This is the latest edition of the summary of powers on illegal and unauthorised occupation of land. It now includes the removal of restrictions, from planning law, on Temporary Stop Notices for unauthorised caravan encampments which are a main residence. The “Occupy” encampment at St Paul’s Cathedral brought into focus the question of balance between the right to peaceful protest and the disruptive impact of the illegal occupation of land. The formation of unauthorised campsites can cause problems for the general public and private landowners. The New Muslims. (Runnymede Perspectives). A new report by The Runnymede Trust and written by Claire Alexander, Victoria Redclift and Ajmal Hussain. 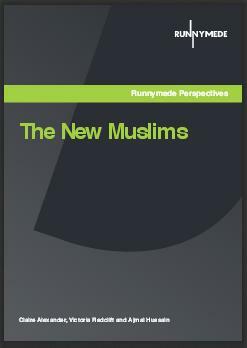 ‘The New Muslims’ report finds that dominant perception of Muslims are damaging as they do not take into account the vast complexities and differences in British Muslim identities. This report examines the wide range of Muslim identities in the UK through looking at a number of factors, including changing demographics, Muslims in the army, Muslims in the media, the unique histories of different Muslim groups in the UK, and youth culture. It makes recommendations based on the failure of policy to reflect the lived experiences of British Muslims. A new report by the Institute for Jewish Policy Research. To read the media coverage, click here. Today sees the publication of JPR’s third report drawing on the 2011 National Census data. Our first report, published in December 2012, looked at the UK Jewish population at Local Authority (LA) level, and noted that whilst the size of the Jewish population of England and Wales has remained largely static since 2001, there are significant changes taking place at the local level. Our second report, published in February 2013, also focused on geography, examined the changes that have taken place at the neighbourhood level. To read the new report in full, please click here. New Regional Publications on the United Kingdom. Social and public service impacts of international migration at the local level. Ref: ISBN 978 1 78246 131 9, Home Office Research Report 72 . Produced by the UK Home Office. This research was conducted to provide further evidence on the social and public service impacts of migration at the local level. It examines migrant composition and impacts at the local, rather than the national, level. It presents a local authority typology, classifying all local authorities within England and Wales into twelve discrete groups, on the basis of key migration and socio-economic indicators, including the different migrant types (e.g. workers, students) and nationalities of migrants they have recently received. Additionally, the research examines impacts of different types of migrant, rather than focusing on migrants as a homogenous group. It considers impacts on different public services (e.g. health services and education) and the local economy. IPS annual report and accounts 2012 to 2013:The 2012-13 annual report and accounts for the Identity and Passport Service (now known as HM Passport Office). Executive agency highlights the role it plays in supporting the Home Office’s priorities, such as public protection, reducing the impact and likelihood of identity crime, and preventing terrorism. This 2012 to 1013 report covers the key performance indicators, principal activities, business and future developments and performance. Risk factors for congenital anomaly in a multiethnic birth cohort: an analysis of the Born in Bradford study. The Lancet, Early Online Publication, 4 July 2013. Congenital anomalies are a leading cause of infant death and disability and their incidence varies between ethnic groups in the UK. Rates of infant death are highest in children of Pakistani origin, and congenital anomalies are the most common cause of death in children younger than 12 in this ethnic group. We investigated the incidence of congenital anomalies in a large multiethnic birth cohort to identify the causes of the excess of congenital anomalies in this community. Precarious Lives, Experiences of forced labour among refugees and asylum seekers in England. Report from Economic and Social Research Council. This research uncovered evidence that refugees and asylum seekers are susceptible to forced labour in the UK. The findings are based on a two-year study by academics at the Universities of Leeds and Salford, funded by the Economic and Social Research Council (ESRC). The research explored experiences of forced labour among 30 people who had made claims for asylum in England, supplemented by interviews with 23 practitioners and policy-makers.